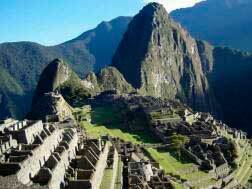 Included Machupicchu Excursion. We leave every day. 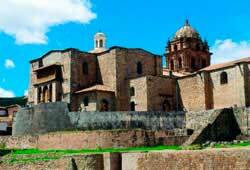 With this program, visit the most important attractions of Cusco. Essence alive in the capital of the Incas. Cusco is the capital of TahuanTinsuyo, the Inka´s Country, the center of the empire of the four regions and the "navel of the Inka world." one of the most remarkable empires in the history of humanity. The Incas expanded in less than one hundred years from its northern borders of Quito in Ecuador to the far south of Santiago, Chili, and the direction to reached Argentina. 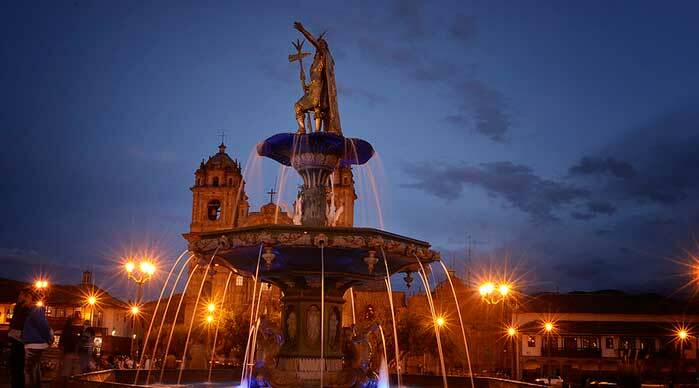 Cusco is one of the most beautiful cities in América. DAY 1 Arrive at the airport "Velasco Astete"
We visit Moray (Inka terraces) and the Salt mine of Maras. From Hotel to Airport or Bus Statión. Train Schedule is subject to change depending on the timetable of Peru Rail and availability. DAY 1.- ARRIVE in CUSCO. At the Schedule time, our uniformed personnel, with a sign with your name on, will be waiting for your arrival at Cusco airport or the bus terminal. We will immediately take you to the hotel. The tourist mobility service that we offer is fully equipped for your comfort. Travel time will vary according to the location of your hotel. Arrival at the hotel, registration, and accommodation. At the scheduled time pick up from hotel at 14:00 pm to start our tour of the city, where our professional guide will provide you with the detailed information on all the attractions that we will visit, also the tour guide will be attentive to any questions and/or need that each of our visitors require. The main temple of the Sun known also as the "Qoricancha". Then, "Sacsayhuaman" known as the head of the Puma in reference to the city of Cusco that was built in a shape of a Puma, and the head of the puma was exactly Sacsayhuaman. Then, immediately we visit Qenqo temple in honor of Mother Earth or Pachamama. 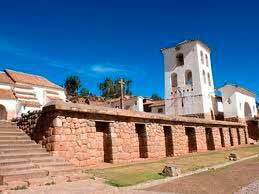 We will continue with our bus to Pucapucara which in Inkas time was an entry control to the sacred city of Cusco. Later visit of Tambomachay Inka temple in honor of the natural element of water. DAY 2.- TOUR OF THE SACRED VALLEY OF THE INKAS. 8:30 a.m. Pick up from your hotel to begin our tour of the Sacred Valley of the Incas, we will be leaving the city and reach the viewpoint of Taray, from here we can enjoy the beautiful Inca terraces and existing farmland which surrounds the sacred river of the Incas "Willcamayuc". Later we´ll visit Pisaq the archeological Park, also the Indian market which is very colorful as the local's people. The Pisaq Andean Market is the best place to shop for crafts and souvenirs. 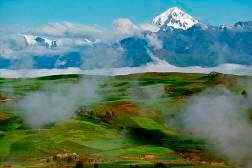 After some free time, we continue our journey to the village of Urubamba, where will have lunch at a delicious buffet. Continuing our journey, we'll reach the last living Inca town "Ollantaytambo". Ollantaytambo reminds us of a mythical love story, a drama of love that prevails against all obstacles. It is believed that this city was built by General Inka Ollanta in a time of rebellion against the Royal army of the Inka by preventing its binding to the beautiful princess Cusi Qoyllor "beautiful star". A further 40 minutes drive takes us to Chinchero surrounded by the colonial houses, where we will again discover the magnificence of the Incan constructions, terraces and the beauty of the local people in their traditional dresses, all surrounded by the local temple, where we'll appreciate the painting of local people who later were well-known as the creator of the "Escuela Cusqueña" founders. The Colonial church is rich in art and jewelry and well appreciated by their population. Lunch is included on this tour in the town of Urubamba. 19:00 pm Arrival in Cusco and transfer to your hotel. DAY 3.- TOUR TO MACHUPICCHU. We will take the train from Cusco to Machupicchu village, arriving in this town at 10:30 am, then immediately we will board a bus to Machupicchu Inca City. 11:00 a.m. Beginning of our 2 hours guided tour of the main Inka palaces and its attractions. After that, you will have free time to enjoy at your own discretion and pace this world wonder. We recommend you to visit the house of the chosen, the Intiwatana (the sundial, marking the seasons), Kallancas (sheds for warriors), baths and aqueducts, as well as the large areas with terraces. Also, you can climb the sacred mountain of Huayna Picchu, visit the sun gate and Inka bridge or anything you want to do at your convenience. If you want to visit the Hot Springs, this day you´ll have enough time to enjoy it. According to the time, we will be approaching the railway station to board the train and start our journey back to Ollantaytambo and then take a touristic bus to Cusco. 22:30 p.m. Arrival in Cusco. DAY 4.- TOUR MARAS MORAY AND SALT MINES OF MARAS. 9:00 AM Pick up from your hotel to begin our tour. In this tour we´ll visit Maras a colonial town which gives us great Andean landscapes worthy of international postcards, this village offers the attractions of the salt mines of Maras since pre-Inca and which at present continue being exploited. 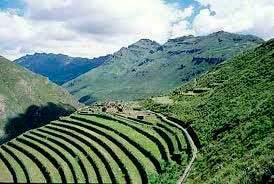 Later visit of the terraces of Moray, which are recognized as an Inka center of the Agricultural experiment, in this form they were obtaining a great variety of new food products. In this tour, we visit the community of Chinchero, a place where we can see how the population is engaged in the activity of making fabrics using Inca techniques and natural colors, a custom that is even now so clearly present in their daily lives. On our return to Cusco, we can see beautiful snowy peaks and large hectares of seeding, which will give us beautiful moments and memories. DAY 5.- TRANSFER FROM YOUR HOTEL TO THE AIRPORT OR BUS STATION. In according time and depending on your itinerary, we´ll provide you the transfer from your hotel to the airport or bus station, with assistance from our staff. Personal assistance in English and Spanish. Excursion of the City tour in Cusco. 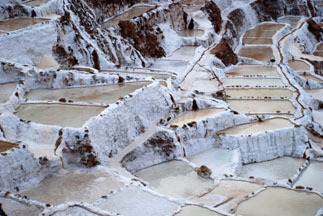 Tour to Maras Moray and salt mines of Maras. Excursion to the Inca city of Machu Picchu. Entrance fees to the different tourist centers. Train tickets round trip expedition's tourism service. Professional bilingual guide (English – Spanish) for all tours. Entrance at recreational sites, such as "Clubs", "Hot Springs, Amusement Parks"
To send you all the information about how to book please email us and we will respond as soon as possible by sending all the necessary information and/or responding your concerns.